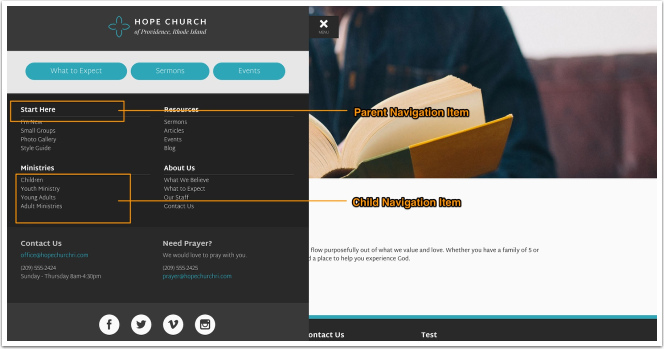 The parent navigation items display as heading in your website menu and the related, child-level links, will display below. You can reorder the navigation items by clicking and dragging them in any order you'd like. Use the arrow to toggle wether the child-level items are shown or not. You can click into a navigation item to change the display text or where that item links to.